Paula Franzini was born in New York and lived in the USA and Europe before settling down in Quebec. She holds a Ph.D. in physics, and worked in world-renowned laboratories as a particle physics researcher before becoming a full-time artist (printmaker and painter). She studied painting and drawing at Ar.Co, in Lisbon, Portugal, and the Saidye Bronfman School of Fine Arts, in Montreal. She was a member of Montreal’s Atelier Circulaire for 15 years, serving on their Board of Directors for two years. Since 2009, she is Read More an active member of Ottawa’s artist-run centre Voix Visuelle, and served on their Board as vice president. She has been awarded creation and exhibition assistance grants by the Ontario Arts Council. 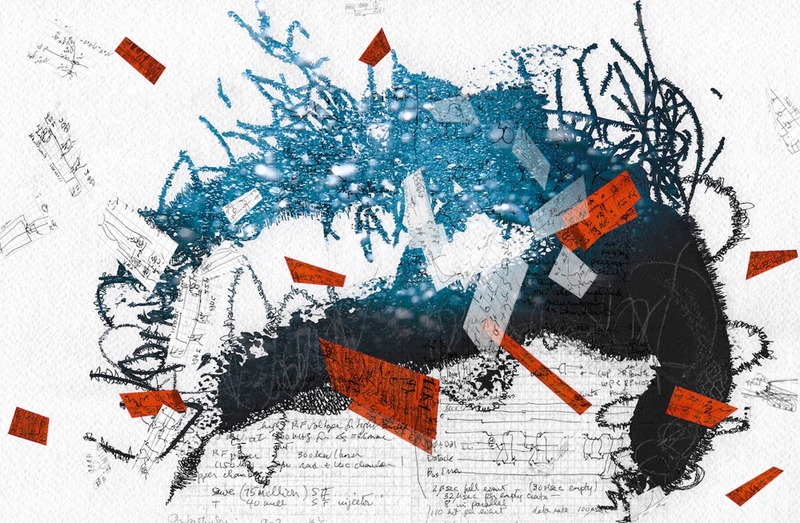 Franzini’s multidisciplinary path — she is deeply interested in manifold subjects including mathematics, computer technology, natural sciences, photography, literature, and languages — is an integral part of her artistic work.